A sweeping new trilogy by the creator of the award-winning Flight of the Raven, that takes the protagonist through the major conflicts of the early 20th Century. 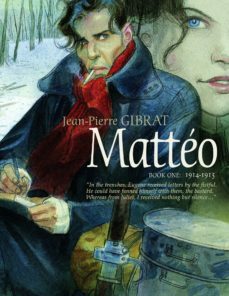 A beautifully drawn and deeply emotional graphic novel following the singular destiny of a man caught up in the fervent passions of a tumultuous period that begins with the Great War of 1914. In a small town at the foot of the Pyrenees on the French Mediterranean, lifelong friends are called to arms, except for Matteo, who, as the son of Spanish refugees, is exempt from service. Yet when his fellow villagers-including Juliet, the woman he loves-express disdain for his pacifism, he embarks on an epic adventure that will have a resounding impact on all their lives.